Documentarian Rohan Spong (T Is For Teacher, All the Way Through Evening, Winter At Westbeth) joins us as we wrap up the year that was. We look at a handful of this month’s films, including Star Wars spinoff prequel Rogue One, Jim Jarmusch’s contemplative drama Paterson, science fiction drama Passengers, and Amma Asante’s true story adaptation A United Kingdom. Sophie, Lee and Rohan then compare notes on their absolute favourite films of 2016. 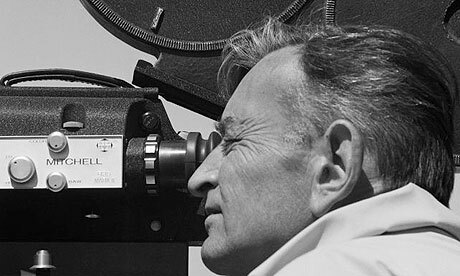 Then, Rohan discusses the films and career of the director whose name is synonymous with grand, epic filmmaking: legendary filmmaker David Lean. This entry was posted in podcasts and tagged a passage to india, a united kingdom, blithe spirit, breaking the sound barrier, brief encounter, certain women, chevalier, creed, david lean, doctor zhivago, great expectations, high-rise, hobson's choice, in which we serve, la la land, lawrence of arabia, lost and found: the story of cook's anchor, madeleine, notes on blindness, oliver twist, one woman's story, passengers, paterson, personal shopper, rogue one, rohan spong, room, ryan's daughter, star wars, summertime, the bridge on the river kwai, the greatest story ever told, the hateful eight, the neon demon, the passionate friends, the sound barrier, the strange case of madeleine, this happy breed, when marnie was there on December 31, 2016 by The Hyphenates. When you hear David Lean’s name, you typically think of grand sweeping epics, told with the wildest of locations and the widest of screens. But that phase career didn’t begin until 1957’s The Bridge on the River Kwai. For the first fifteen years of his directorial career he was making comparatively smaller, more personal films. Although many of his early works can still be considered great, one film looms large: the romantic drama Brief Encounter. Passions bubble over as a married woman falls in love with a stranger in 1940s London. Lean’s filmmaking is heartbreaking and strikingly modern, and it remains one of the most emotionally engaging films ever made. Once that’s done, your next film for the evening is an entirely different beast, and perhaps the best example there is of epic filmmaking: Lawrence of Arabia remains one of the greatest cinematic experiences of all time, and along with 2001, a film that absolutely must be seen on the big screen if at all possible. Watch these two films back-to-back and it might just be enough to turn 2016 around. Substitutions: If you can’t get or have already seen Brief Encounter, seek out The Passionate Friends (1949). While not nearly as well known or accomplished as Brief Encounter, it is a fascinating work and does cover many of the same themes, examining at infidelity through a far more complex and interesting prism than was, at the time, typically permitted. If you can’t get or have already seen Lawrence of Arabia, track down Doctor Zhivago (1965). Zhivago is as much a synonym for epic filmmaking as Lawrence is, with a 3+ hour running time, a 2.20:1 aspect ratio, and a sweeping multi-year story told against the backdrop of a revolution. The Hidden Gem: Want to try something a little different? A David Lean film that is rarely mentioned? Take a look at Blithe Spirit (1945). This strange ghost story begins with a man (played by a frighteningly young Rex Harrison) ironically employing the services of a medium as research for his next book. When the medium manages to get in contact with an actual spirit that’s haunting the house, he finds himself caught his deceased first wife and his living second wife. It’s funny, macabre, and worth a look. The next episode of Hell Is For Hyphenates, featuring Rohan Spong talking David Lean, will be released on 31 December 2016. 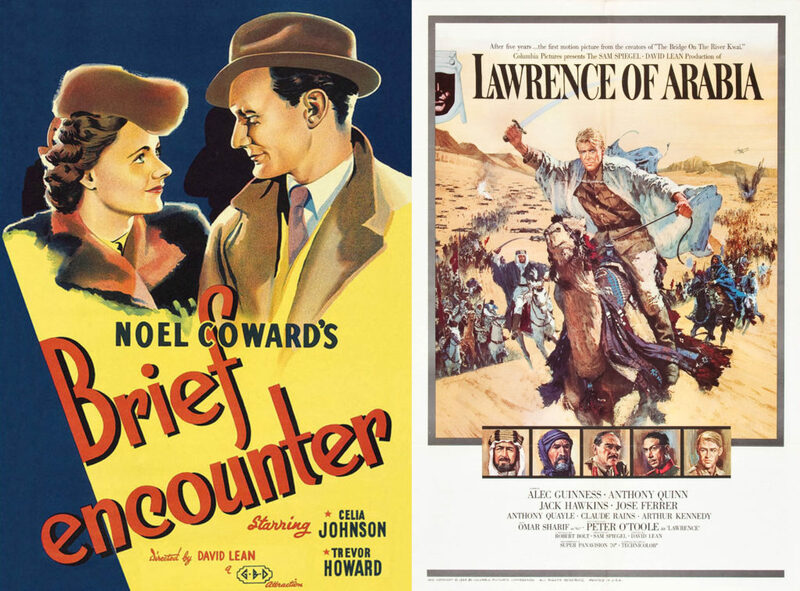 This entry was posted in blogs and tagged blithe spirit, brief encounter, cheat sheet, david lean, doctor zhivago, lawrence of arabia, rohan spong, the passionate friends on December 23, 2016 by The Hyphenates.